The rhythm that a consistent dance regimen provides for a dancer helps build and maintain the muscles that are used in dance. For both aspiring professionals and recreational dancers, maintaining a daily, let alone a weekly or monthly dance practice regimen can be a real challenge. This is especially true for those that are too busy studying or making ends meet to devote a lot of time to dance. Caroline Holden, dance teacher and Pilates instructor at the Stoughton Center for Performing Arts, took a few minutes to answer some common questions dancers face regarding dance practice and maintaining fitness. Q: What should professionals, students, and recreational dancers do to maintain health and fitness during down time? A: Resting is paramount for any athlete. Muscles need to recover. That being said, keeping the body stretched and strengthened is important. Pilates and yoga are good examples of regiments that keep the body stretched and strengthened. As most dance is anaerobic, an aerobic exercise regimen is also recommended for overall health. Q: What do competitive dancers and aspiring professionals lose during extended breaks from dance training and practice, and what can dancers do to maintain muscle strength during extended breaks between practices and/or performances? A: Muscle length and strength are easily lost. However, keep in mind that it takes two times as long to lose muscle as it takes to gain it. Eat lean proteins and stretch and strengthen. Q: What exercises do you recommend for those that have very little time to dance regularly? Q: What muscles benefit from dance? What muscles get the most work/stress put on them during dance? What dances are the most physically taxing? glutes. The entire body benefits from dance training –especially the muscles of the leg. Q: What dances, exercises, and stretches are good and necessary for warm-up? A: Pilates, footwork (tondires etc. ), developés, are all part of a traditional warm up for ballet, jazz, and modern dancers. Many teachers expect a dancer to be slightly warm and stretched before they begin class in order for class to be most beneficial. Q: What foods should dancers avoid during periods of extended rest? A: Dancers are fueling their instrument. You get out what you put in. Be mindful. Lean proteins are always recommended. One of the biggest concerns for professional dancers is injury. For this reason, it is vital that professional dancers take as much care as possible to prevent injury. The Harkness Center for Dance Injuries at the NYU Medical Center, founded in 1989, is aimed at helping dancers do just that. With its innovative Injury Prevention Assessment program, Harkness is utilized by several dance companies and Broadway shows in New York. Alison Deleget, MS, ATC is a certified athletic trainer for Harkness. (Visit www.nata.org for more information on athletic trainers.) Ms. Deleget works individually with dancers and also travels to studios around New York giving lectures on how to prevent injuries, the common causes of injury, and basic nutritional information. We recently talked to Ms Deleget about the Harkness Center and recommendations for dancers to prevent injury. How does the Harkness Center for Dance Injuries work? The Harkness Center has a one-of-a-kind Injury Prevention Assessment program, which is a free service offered to dancers. They can be seen by me for a one-hour, one-on-one assessment of their bodies to identify any muscle imbalances, weakness, tightness, alignment problems, etc. that may put them at an increased risk for injury, and are given a home exercise program to address these issues and ideally prevent injury occurrence. We also discuss nutrition, social habits, survival jobs, warm-up and cool-down practices, etc. to help the dancer get an understanding of how issues outside of their bodies may contribute to dance injuries as well. What are some of the most common injuries for dancers? Chronic injuries (the “itis” injuries: tendinitis, bursitis, etc) are by far the most common type of injury seen in dance. Approximately 65% of all dance injuries fall into this category. Since dance injuries are such a multi-factorial problem, meaning there are lots of different factors that can cause injury, it is hard to say briefly how to prevent them. For chronic injuries, some of the most important things that can be done are to eat a healthy diet, get enough sleep, cross-train with exercise like Pilates or Yoga to keep the body balanced, and try to work as correctly as possible with dance technique. Also, no matter what the dance technique, it is important for dancers to know their own bodies, and accept the limitations they may have as well as the assets they have. Anyone can learn to work with their body, but they have to know and acknowledge what their body can do before they can learn to work with it. What other tips can you give dancers for staying healthy? One additional piece of advice would be to get help for an injury BEFORE it turns into a chronic problem that can take months or years to correct. It is important to seek out medical professionals that are familiar with dance and can provide the specific treatments and advice dancers need to recover from injury. About what percentage of dancers are able to recover? How long does recovery take on average? Dancers can recover from almost any injury sustained, but some more severe injuries may take a year or more to recover; whereas less severe injuries may only take a few days or weeks to recover. Also, the nature of the injury plays a huge role in the length of recovery. A dancer who has suffered from chronic tendinitis for years may take longer to recover than a dancer who is just beginning to feel the symptoms and seeks early treatment for the problem. The most time consuming injuries are typically traumatic injuries such as an ankle sprain, meniscal tear, or ACL tear. These injuries may need surgery to repair the damage sustained in the injury, and rehabilitation can last for several months. The most important thing for any dancer to know is that with proper care, they can come back from almost any injury. Do you see many injuries recurring in the same dancer? We see dancers who have recurring ankle sprains more often if they did not get adequate treatment after the initial injury. With chronic injuries, dancers can sometimes suffer from the same “injury” for months or years, but the severity of the pain flares up and diminishes over time. Injuries like this will flare up when the dancer comes back from an extended break, or when they begin rehearsing extremely taxing choreography that is new to their body. With proper management, these flare ups can be minimized, and ideally, eliminated. Are there any other major factors in injury prevention? The most important message dancers should hear about injury prevention is that it involves every aspect of their lives, not just what they do in the studio. Nutrition, rest, psychological support, cross training, survival jobs, etc. all impact dance injury occurrence. 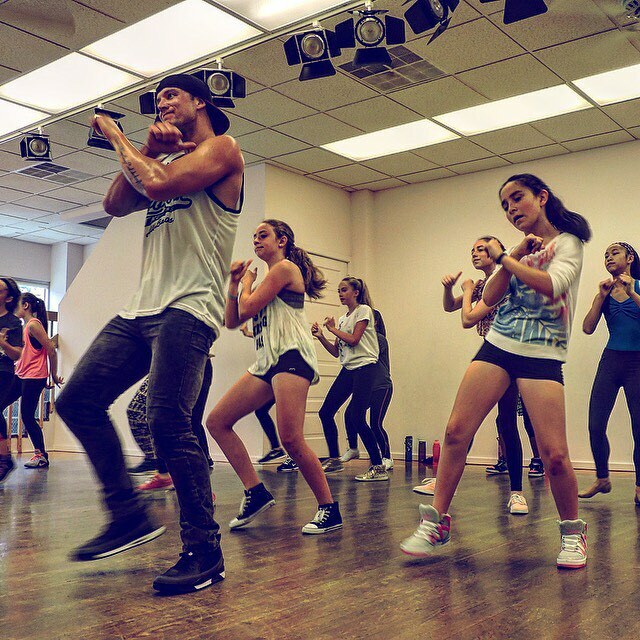 In the studio, it is important to have a set routine of warm-up exercises to target the muscles needed for dance, and a cool-down program to stretch out tight, tired muscles and allow the body to recover from dance. For more expensive health care needs, such as surgery, physical therapy, or diagnostic tests such as an MRI, dancers can apply for the Special Assistance Fund to help cover costs. For more information visit the Harkness website at http://www.med.nyu.edu/hjd/harkness/patients/finance.html. A show of hands, who has ever thought of trying acupuncture? If you have your hand in the air, then perhaps you feel a little sheepish. You don’t really need to raise your hand, but maybe you do need to act on your curiosity and try some alternative therapy. There are many benefits to acupuncture, some recognized by traditional health organizations, and some not. Contrary to common belief, it is actually pretty painless and can even be deeply relaxing. The needles used in this process are not at all like syringes or sewing needles; they are very thin and flexible, gently gliding between the body’s tissues instead of tearing through them. The feeling is most often compared to that of a pinch, or a mosquito bite. You may wonder how having a number of tiny, flexible needles stuck in you helps to treat anything. Chinese medicine is based upon the relationship of the individual, both physical tissue and spirit, function in relation to each other. In terms of the human body, mind, and spirit, the connective force that runs through it is called“qi,” or chi, as we Westerners spell it. This chi is an energy force that flows through the body along specific pathways, called meridians. When this all important chi flow is blocked by injury, stress, or disease, pain and dysfunction emerge. Acupuncture, though still relatively new to western culture, is already being applied to various forms of sports-related injuries and is fast becoming a big part of performance medicine. For those of you who don’t know what that is, it’s much like sports medicine, except that it is used to treat conditions specific to performing artists instead of athletes. As a part of this performance medicine trend, acupuncture is helping performers of all kinds live healthier, happier, and more productive lives. So what does this mean for you dancers out there? It means that if you’re suffering from chronic pain or injury – in any area of the body – acupuncture can quite possibly soothe your pain completely, help your body heal itself naturally, and shorten overall recovery time, without the use of drugs. Dancers can overcome relief from injuries such as sprains, strains, sciatica, and arthritis. It has also been known to treat many different kinds of digestive, psychological, and skin disorders. However, it is important to note that Chinese medicine heavily emphasizes the prevention of injury and illness, as opposed to solely treating an already injured and suffering body. The many artists and athletes who have experienced the benefits of acupuncture see it not only as a life-saver and secret weapon against sudden injury, illness, or pain, but as part of a complete health maintenance program. Many of the testimonials of acupuncture patients claim that it has even cured their insomnia and depression. The National Institute of Health recognizes it as effective in treating headaches, menstrual cramps, low back pain, carpal tunnel syndrome, asthma, addiction, nausea, and various other physical, emotional, and mental problems. If you or someone you know is a performer who fears that their career will be delayed or cut short due to chronic pain, illness, or serious injury, acupuncture is a viable and recognized form of treatment. Whenever you are choosing a physician of any kind, whether traditional or alternative, it is important to research their training, credentials, and past track record with their patients.